Recently Jeff Bridges made himself available to provide fans with answers to anything and everything and they responded by peppering his Dudeness with an array of oddball queries on Reddit. Throughout his time in the hot seat he revealed quite a few things we didn't know about or may have just forgotten. Which means it's time for us to share with you the six best things we learned (or re-learned) from the man who fought for the Users and became The Giver. 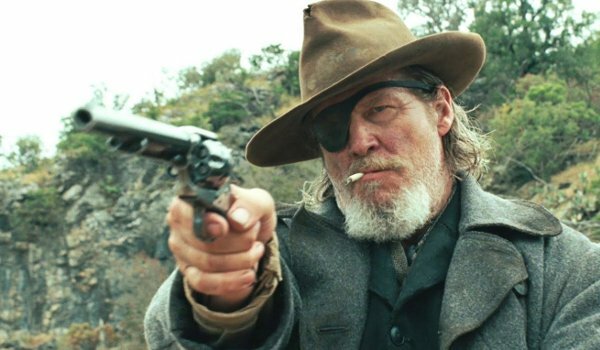 When inhabiting the role of Rooster Cogburn for the Coen Brothers' 2011 remake of True Grit, Jeff Bridges brought to life a character that had been brought to the big screen once before by the legendary John Wayne. Now depending on what type of method an actor chooses to follow, they may or may not follow the path that their predecessor has laid out for them. After all, why change what worked? That's not what Jeff Bridges did. In fact, it was the fact that the John Wayne version was still so iconic that made him wonder why they would even make a newer version. The Coens gave Bridges the answer any literary fan would give. "...they said "Have you read the book?" and I had not, so after I did read the book I understood why they wanted to make the movie again. It read like a Coen brothers movie. So I jumped on board, and I didn't really reference the John Wayne performance, it was mainly taking my cues from the character in the book." Following True Grit's source material was probably the smartest choice all involved with the film could have made, and it put Jeff Bridges in a role that was memorable for showcasing his wit and his charm – as well as his talent for putting on incomprehensible accents. Of course, this was his second collaboration with the Coen Brothers, so both parties knew what the other could bring to the table. That's not to say the first time they worked together was a dud... in fact, that first film is still a favorite of Jeff Bridges' to this very day. A discussion with Jeff Bridges without at least one reference or question pertaining to the 1998 cultural hit The Big Lebowski is a conversation that's wasted. While the film landed with a thud theatrically when it first came to theaters, it made itself into a fixture among comedy buffs upon its home video release. 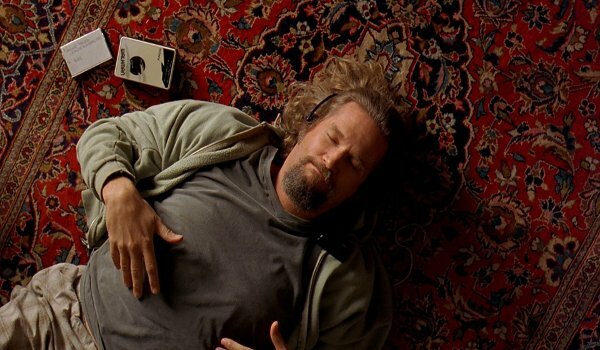 Nowadays it's an easy top 10 pick for Coen Brothers and Jeff Bridges enthusiasts, as well as an operator's manual for those who practice "Dudeism" (a modified form of Taoism). Not bad for a movie that initially flopped out during the year of Armageddon. Believe it or not, even Mr. Bridges - the man who brought The Dude himself to life - is as big of a fan of the film as the rest of us are. I don't watch many of my movies on TV, but whenever I'm flipping the channels, and I'm a big flipper when I watch TV, when Lebowski comes up, I think "Oh I'll just watch a few scenes" and then I get sucked in, because the scenes are so funny. To know that even Jeff Bridges isn't immune to the charms of The Big Lebowski speaks to just how awesome the film actually is. However, the big question that started this whole response was what his favorite scene of the film was. Out of all of those iconic moments, lines, pratfalls, and gags; you'd think it'd be a fool's errand to pick one. Mr. Bridges was happy to oblige though, stating that his favorite scene was one in the limo where Jeffrey Lebowski hands The Dude what he assumes to be Bunny's toe. 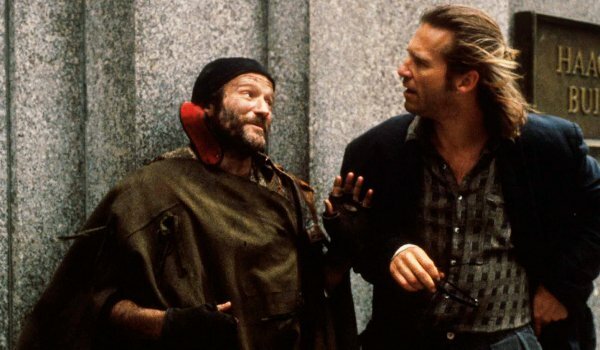 Going deeper into his filmography, one fan asked Jeff Bridges about the time he worked with Robin Williams in Terry Gilliam's The Fisher King. Jeff had particularly fond remembrances of working with the legendary comedic actor, though he did have some reservations in the beginning – which he mentions in the quote below. I thought "oh god, this guy is going to making jokes and stuff in the middle of this thing, winking at me trying to make me laugh" but when we got to that scene, he was so there for me in a completely silent way, that I could feel his support in the silence, there was no winking or cracking jokes, and I finally came to learn that Robin is a very serious, accomplished actor, and comedy is just one of the tricks in his trick bag. He is an all-time master entertainer and actor. Knowing how much of a live wire Robin Williams can be on the set of any of his films, there was of course a method to keeping Williams madness in check, and Jeff Bridges shared that as well. He would encourage Robin, he would say "Go! What about him? Or him?" so he would go on for 10, 15 minutes. And after that comedic break, everybody's batteries would be recharged, and we would be good for another couple hours. It's a rare treat to be that positively surprised by an actor if you've been in the game as long as Jeff Bridges has, but this little lesson of his just shows how humbled he is by his place in the business. The man is a consummate professional, and it'd be a hoot if he and Robin Williams could work together on something in the comedic spectrum. Throw Gilliam into the mix again, and you just might have a hell of a film. That was very frustrating for me, because I like to be very prepared and let it go in front of the camera, so that you know your lines and stuff. Once he adjusted his mindset to that of "making a $200 million dollar student film," he had a lot more fun and put in work on a project that he acknowledges was saved by Robert Downey Jr. and Jon Favreau. R.I.P.D. on the other hand, which to public knowledge did have a script going in and still sucked, was something Mr. Bridges believes was tainted by studio tampering. 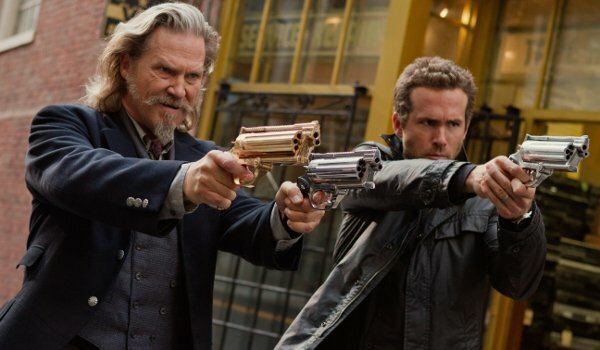 I think they really screwed up the editing of the movie, we had a wonderful time making it, with Ryan Reynolds. Wonderful time working with the director. But the suits just cut it against the grain, and I thought, screwed it up. But it's got some funny parts in it. While those "funny parts" are up for debate among moviegoers who actually saw the film, R.I.P.D. does feel like a film that went under the knife a little too much, and it's something we wouldn't have known without the wise but firm commentary that Jeff Bridges provided in his AMA. As he admitted at Comic Con, Jeff Bridges has wanted to make The Giver into a film for quite some time. Upon the release of the Lois Lowry penned novel in 1993, Bridges actually had his family in mind as both the target audience, as well as potential collaborators. ...what initially drew me to it was the desire to direct my father in a movie, because my kids were quite young, and I wanted to make a movie that they could see, and so I was reading children's book catalogs, and I came across this photograph of a cover of a book, with an old grizzled guy on the cover, and I thought "oh, my dad could play that guy." We now know that Jeff Bridges himself filmed some of his planned version of The Giver and he might even release it as a special feature on the current film's home video release. However, the Hollywood of today was more accepting (at least in Mr. Bridges' eyes) of the concept than they would have been back in 1993. Ultimately, he felt that The Giver would have been an easy sell, if it weren't for one key factor he felt soured the deal. a lot of the financiers were concerned about the darker aspects of the book. It's not hard to imagine a "Hollywood friendly" version of The Giver, especially in the state of the industry in 1993. What's so amazing is that Jeff Bridges believed in this story so much that he didn't sacrifice its moral compass merely to get it made, and even abandoned his own version to ultimately make sure the Phillip Noyce helmed project could be released today. That's when you know someone loves a project, and it makes The Giver a little more tantalizing to watch. When you look past all of the fame and the fun that Jeff Bridges exudes on a daily basis, you get to the real meat and potatoes of what the man is all about. He's about living to your fullest potential, and not being afraid to stop and help others along the way. 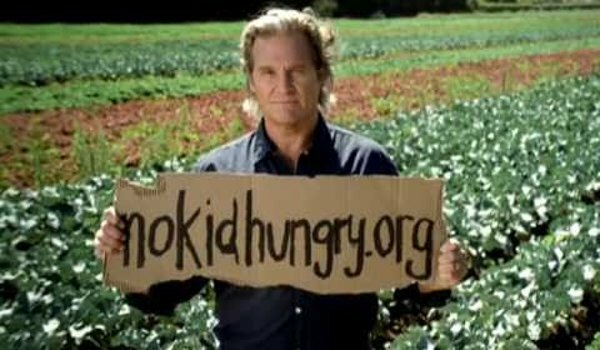 In his AMA, Bridges recalled a morning during his recent work with the charity No Kid Hungry, in which a breakfast was held to fight "the stigma of the poor kid who has to come to school early and eat in the cafeteria." At that breakfast, he noticed something. You could see they were all well-fed and ready for a day of learning, and the joy on their faces, I would like to share that with everyone and to encourage you to make sure that the kids around us are taken care of, because kids are our future. Mr. Bridges also mentioned that he calls his wife everyday when he's on set, so as to keep each other in the loop of what's going on in their lives, and he's not as big of a fan of White Russians as The Dude was – but he'll certainly imbibe in one if he feels like a dessert styled drink. But perhaps the greatest answer Jeff Bridges could have given to any question in the AMA, was this perfect piece of advice he offered when a fan asked for just that. That, in a nutshell, is Jeff Bridges: a cross between a bearded prospector and the guy who's just along for wherever the ride takes him. In the decades his career has been active, he's amassed tons of stories, a lot of experiences, and always kept his relationship with his wife and family fresh. It's the stuff that legends are made of, and it's also what keeps them legends. With his current trajectory in life, it's clear that it's going to take a force of nature to keep his Dudeness from smiling and moving forward. 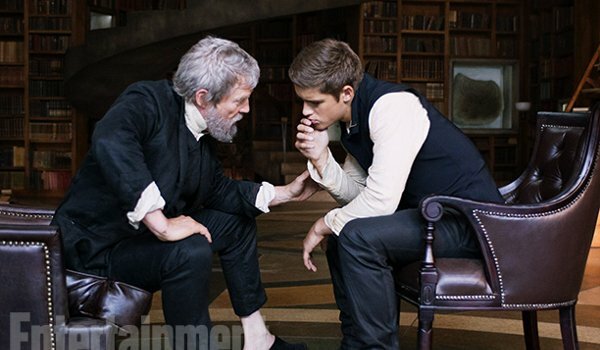 You can see Jeff Bridges in The Giver opening on August 15th, as well as The Seventh Son, which will finally be released February 6th, 2015.